A sneaker wave, also known as a sleeper wave, is a coastal wave that is disproportionately large and appears without warning. It is similar to a miniature wall of water with an immensely large concentration of sand. These waves are referred to in warning and incident reports along the coasts of California, Oregon, and Washington. The West Coast of Canada, more specifically Tofino and Ucluelet, experience sneaker waves as well. In Western Australia and Tasmania, Sneaker waves are referred to as King Waves and are likened to rogue waves which are surface waves originating in the middle of the ocean. The coast of Oregon was recently hit by a large sneaker wave. Videos of the event have since, gone viral with over half a million views. How do Sneaker Waves Form? While there is not a much scientific inquiry into the phenomena, the epidemiology of sneaker waves (found on the shore) can be related to that of its oceanic cousin, the rogue wave. There does not seem to be a single distinct cause but rather a combination of factors such as high winds, strong currents or other non-linear effects (e.g. solitons) that results in the occurrence of such a wave. Waves travel at varying speeds, however, under a set of certain circumstances they can add up or 'pile up' to form one large wave that is more massive than any 'average' wave at that time and place. A coincidence of waves and consequent reinforcement give rise to tremendously sized waves that collapse as rapidly as they emerge. This is also known as the instability effect. The idea is that the transfer of energy between waves can cause few extremely large waves to be formed due to the focusing of wave energy. Why are Sneaker Waves so Dangerous? While rare, sneaker waves can be phenomenally dangerous; they are hard to predict, appear suddenly with no prior warning or indication and lash out with an exceptional amount of force. 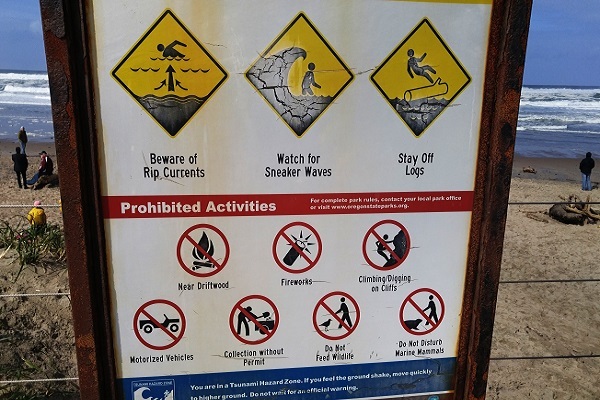 The sudden enlargement of the wave can catch unwary swimmers, people walking along the shoreline and those standing on the beach and jetties, washing them out into the sea. Furthermore, the mixture of sand and water is similar to liquid cement that acts as a weighted anchor or even a death shroud. The high concentration of sand in the wave can saturate clothing, thus increasing their weight and consequently yours exponentially. This can weigh you down making any escape almost impossible. How many of you enjoy a peaceful walking along a shoreline? Warm beams of sunshine and the distant roars of the ocean; they really do form the perfect combination, don’t they? Here is the issue though, even at a 20-yard distance from the shoreline, a sneaker wave can creep up on you. Avoid jetty rocks, mainly during high tide and storms. 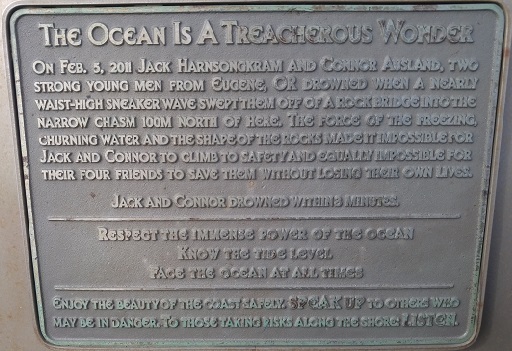 Sneaker waves are dangerous due to more than just water; it is their sudden ferociousness that is the root of the problem.